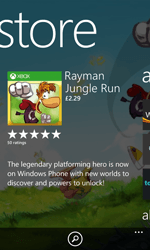 A Windows Live account is required to download apps to your Nokia Lumia 520. 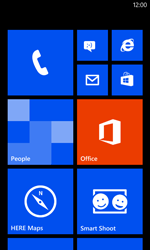 See Applications Create an account for instructions on how to create a Windows Live account. 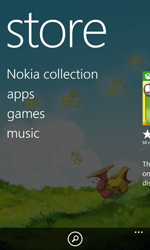 After installing the application on your Nokia Lumia 520, you can find the application in the Main menu. This is the start page of the Store. All main categories are displayed here. The app of the day will be displayed. 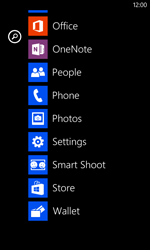 Under apps, apps are displayed. 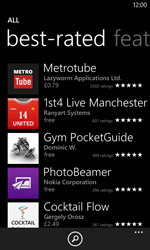 Choose all apps to navigate through the different sub categories. 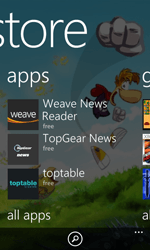 Under Top free, the top free apps are displayed. 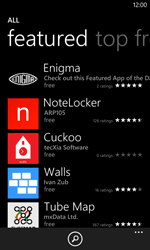 Under new + rising, the latest apps are displayed. Under top paid, the top paid apps are displayed. 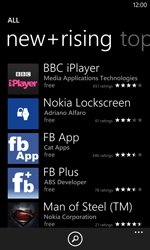 Under best-rated, the top recommended apps are displayed. 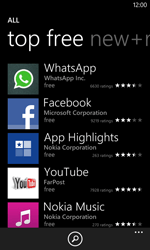 Under featured, the most recommended apps are displayed. 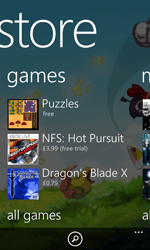 Under games, games are displayed. 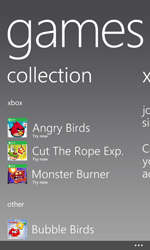 Choose all games to navigate through the different sub categories. 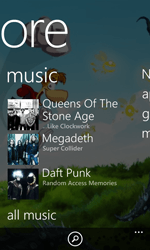 Under music, music is displayed. Choose all music to navigate through the different sub categories. 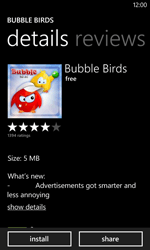 From the list of suggestions, choose bubble birds, and skip the next step. 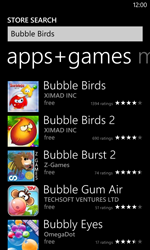 Choose an app, in this case Bubble Birds. In the case of a paid app, choose buy. To open the app, choose Bubble Birds. 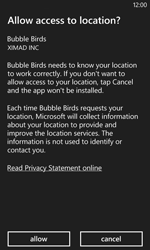 To remove Bubble Birds, hold the app for a few seconds, and choose uninstall. 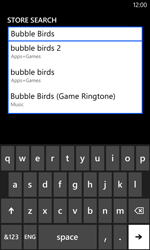 To return to the Start screen, press the Windows key.